Tinctures made with alcohol are generally better preserved than other types of tinctures due to the antibacterial nature of alcohol. They can have a shelf life of 2-5 years. They tend to be more stable and reliable over a long period of time with or without refrigeration. 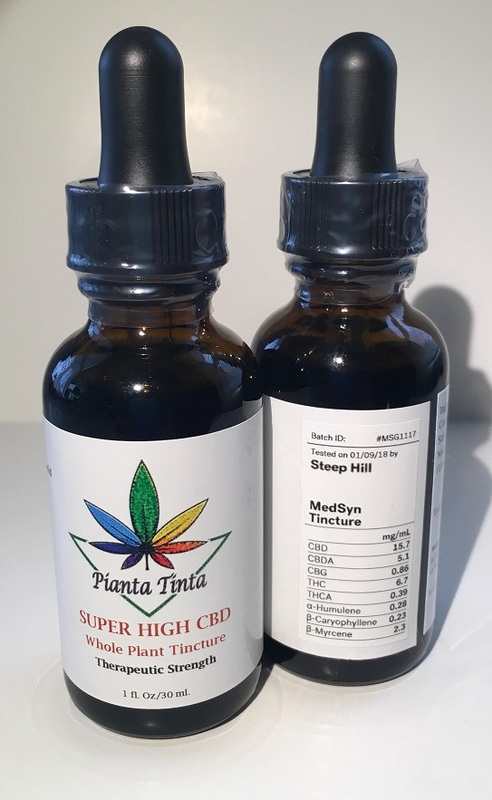 Another plus with using ethanol in our tinctures is that the alcohol when taken orally permeates the mucus membranes of the mouth and is delivered into the bloodstream. This is a much quicker delivery system than taking an edible and waiting for the digestive system and liver to break it down, which can be 1.5-2 hours later.